Pneumatic cylinder / double-acting / anodized aluminum / standard - CN series - Bonesi Pneumatik s.r.l. 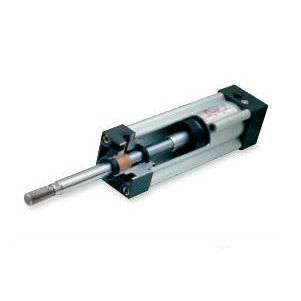 Power Transmission - Mechanical components > Actuator and Positioning System > Pneumatic cylinder > Bonesi Pneumatik s.r.l. CN series Bonesi Pneumatik s.r.l. Pneumatic cylinder according C.N.O.M.O. Standards. Aluminium barrel extruded and calibrated, internally and externally anodized (class 20 micron). Piston Rod in CK 45 steel chromium plated Seals in NBR and in polyurethane. Bores 32-40-50-63-80-100-125 mm.